Roasted marshmallows and beer, the Breakfast of Champions. It doesn't get much better than that, huh? 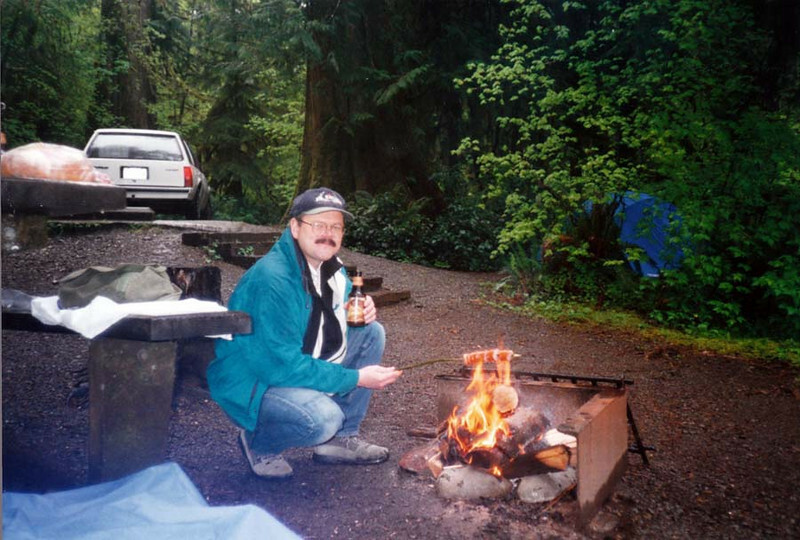 This is the camping trip where I almost set my fleece jacket's sleeve on fire -- while wearing it! Lisa later cut off the sleeves and made a vest out of it, which she kept.